We're on the long hard road to the Oscars, and that winding path just took another turn with the Screen Actors Guild Award nominations for the best performances of 2017. 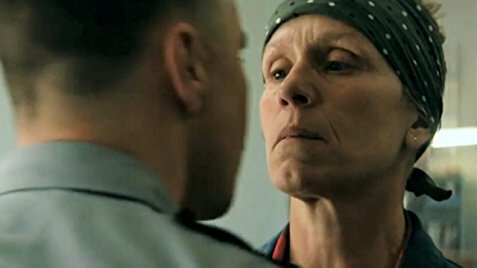 Leading the way with four nominations was Martin McDonagh's Three Billboards Outside Ebbing, Missouri including nods for Frances McDormand for Outstanding Actress and one for Outstanding Performance by a Cast. Surprisingly, both Sam Rockwell and Woody Harrelson were nominated in the same category. Really? There wasn't anybody else they could have put in there? Maybe Jason Mitchell or Garrett Hedlund for Mudbound? There are some notable snubs but the biggest have to be Steven Spielberg's The Post, which was completely shut out, and Christopher Nolan's Dunkirk which only earned one nomination for Outstanding Stunt Ensemble. In another stunner, Daniel Kaluuya's performance in Get Out was chosen ahead of Tom Hanks for The Post, Daniel Day-Lewis for Phantom Thread, Andrew Garfield in Breathe, and Jake Gyllenhaal for Stronger. I think we can count on Kaluuya being in the mix for an Oscar, especially since he also was nominated for a Golden Globe.